Every year we have the same dilemma. What do we get ___ for Christmas. The season of giving is upon us and with less than three weeks until Christmas you may be rattling your brain attempting to think of the perfect present for your baby. Every child is different and only you personally will know what they love. 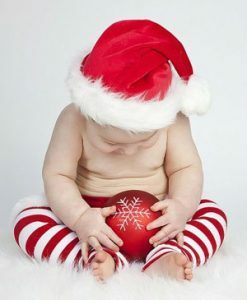 This list will hopefully help you decide on a few special items to gift your baby this Christmas. My son has only just turned one so I can still get away with gifting him practical gifts. He has recently shown interest in trucks, cars and trains so this Christmas I am gifting him the VTech Toot Toot Drivers Set, Christmas themed pyjamas, a new sippy cut, divided plate and a ride on toy. I’ve tried to hold back from going overboard this year as he already got a lot for his birthday. By one, your baby may have hinted that they no longer need your help.. well at least they don’t think they do. They have become very independent lately and in turn want to take the reins at meal times. Why not give your little one their very own cutlery or dinner set. Royal Doulton along with other popular brands have dinner ware ranges designed especially for beginners. At one your baby will be at the age where they are learning how much fun water is. Bath time will seem never ending. If you have a littler baby it’s always good to have some bath toys on hand for them to visually interact with while getting washed. You can keep it simple and gift bath toys such as the rubber ducky or something with greater interaction for little hands such as a hoop throw bath toy. Wooden toys have recently become more popular. These toys are guaranteed to last and are easy to grab by little hands. 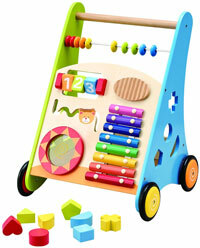 Wooden activity sets or wooden activity walker’s are great for babies towards the end of this age group. Unfortunately at some stage, generally during a little ones first year they will teeth. 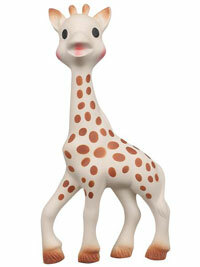 Gift your baby with something that will relieve their sore gums and you can be guaranteed they will love it. 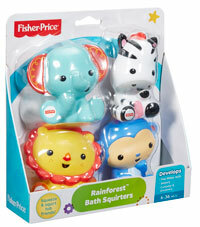 Fisher Price offer a wide range of toys suitable for babies aged 0-1 year old. 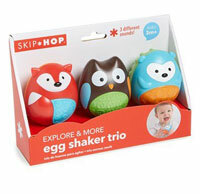 These toys are generally educational and help your babies learn and develop new concepts. Popular Fisher Price toys to gift a 0-1 year old include The Stride and Ride Lion, The Smart Stages Puppy, Baby’s First Blocks Set, Baby’s First Doll Set, The Crawl Around Car, Puppy’s Piano, Jumperoo and The Counting With Puppy Book. 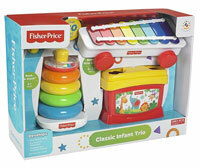 Fisher Price offer great learning toys for all age groups and budgets. Babies love to bang and tap on everything and anything. Mini drums, xylophones, rattles and pianos are perfect for this age bracket. 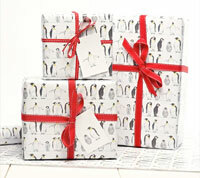 To celebrate your little ones’s first Christmas why not gift them with something they can keep for years to come. Personalised presents such as embroidered pillows, teddy bears and hats are perfect for you little one this Christmas. Baby Swim Diapers – What are They and How Can I Purchase the Right Fit? Babymommablog.com is a participant in the Amazon Services LLC Associates Program, an affiliate advertising program designed to provide a means for sites to earn advertising fees by advertising and linking to amazon.com.